The Russian winter certainly guarantees plenty of snow and frost… but not everywhere. And it doesn’t last forever. Russia’s climate varies dramatically, from the deep Arctic chill of the far north to the searing desert heat of some inland areas further south. Yet, throughout much of the country there are only two distinct seasons – winter and summer. Spring and autumn are only brief spells of change in between. Winters in Russia’s European part are nothing like as terrifying as many myths have it. In Moscow and St. Petersburg the first snow usually falls in late November and stays till early April. The average winter temperature is about -10°C. Colder snaps are not uncommon, but winter chills are compensated for by splendid summers. St. Petersburg usually enjoys 20-25°C and Moscow often swelters in highs of 35-37°C. Down south, Russia's vast steppe is hot and dry. Winters are short but cold. In the city of Volgograd, the weather starts flirting with freezing point as early as November. But the Black Sea resort of Sochi makes up for the rest of the country with a sizzling 35°C between June and August – no wonder it is Russia’s top summer holiday spot. 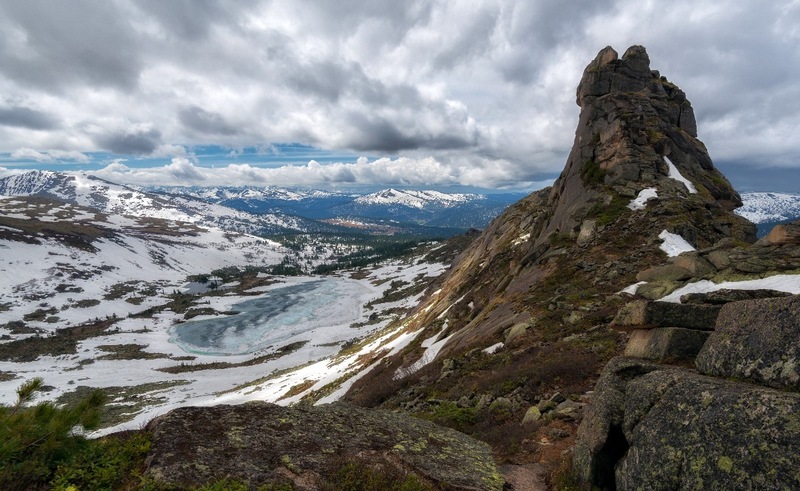 On the other side of the Ural Mountains, Siberia – contrary to its popular image – isn’t the land of eternal ice. It does have a summer – actually quite a warm and pleasant one, with temperatures climbing to 20°C and higher. The weather is rather wet though, so there are mosquitoes. But, true to form, winters are severe. A deadly -50°C is not unheard of. This bone-chilling cold produces the so-called “whisper of the stars”. As you breathe out, water vapor turns into tiny icicles that fall down with a melodic tinkle. The state controlled virtually all investment, production and consumption across the country. Economic policy was shaped by the Communist Party. The transition towards a market economy in the 1990s was painful. Radical liberalisation reforms and massive crash privatisation wiped out the living standards of millions, while crime and corruption flourished. In 1998, Russia was hit with a dramatic economic breakdown as the rouble spectacularly collapsed. After years of underachievement, Russia emerged as the world’s leading natural gas exporter and the second largest oil producer after Saudi Arabia. Fuelled by oil revenues, it repaid its Soviet-era debt to Paris Club creditors and the International Monetary Fund.But after a decade of crisis, Russia has bounced back. Rising oil prices, increased foreign investment, higher domestic consumption and political stability have bolstered the economic boom. Russia became the fastest growing economy in the G8, ending 2007 with its ninth straight year of growth, averaging 7 per cent annually since 2003. Poverty has declined steadily and the middle class has grown. So has the number of Russia’s super-rich. The country’s freshly minted billionaires now play on the global stage, sweeping up luxury property, places at top universities and sports franchises. But economic development has been uneven throughout the country, and while the Moscow region booms, the rest, especially rural eras, lags far behind. The bulk of Russia’s manufacturing base dates back to the Soviet era. The country inherited most of the USSR’s defence industry, making it one of the world’s major weapons exporters. Efforts have been made to put military industries on civil rails but successful conversion remains a challenge. And there are other challenges to face. Despite more then a decade of talks, Russia’s still been unable to join the WTO. Moscow applied for membership in 1993 and although formally Russia’s getting closer to accession, progress has been slow. The country is now pushing to diversify its economy, develop small business and invest in human capital. The Putin government launched a multi-billion investment programme in nanotechnology and started an ambitious social scheme to boost the sectors of housing, agriculture, healthcare and education. Until the 1917 revolution, Russian was the only official language of the Russian Empire. In the Soviet Union, it enjoyed a privileged and unifying status. After the fall of the USSR, most ex-members reverted to their native tongues, with only Belarus, Kazakhstan and Kyrgyzstan keeping Russian as an official language alongside their own.Russian belongs to the Indo-European family, which ties it to Greek and Latin. Its closest spoken relatives are Ukrainian and Belarusian. Over the centuries, its vocabu lary and style have been influenced by German, French and English. Modern Russian also includes a large number of international political, technological and scientific terms. Decades of Soviet rule have left their mark: up to half of Russians declare themselves atheists, although figures vary. Among believers Orthodox Christianity dominates, but smaller Christian denominations also exist. Religious holidays, banned after the 1917 revolution, are now back on the Russian calendar. Christmas and Easter are once again marked in grand fashion. Still, Russian Christians do it differently from the West. Soviet Russia adopted the Gregorian calendar, already widely accepted by most of the Western world. But the Russian Orthodox Church still used the old Julian calendar that now falls 13 days behind. Instead of December 25 Russian Christmas is marked on January 7. The same goes for the other religious holidays – when Europe’s finished celebrating, Russia only begins to gear up for the festivities. Since ancient times, the largest and most important Russian Orthodox monasteries were called “Lavra” (from the Greek “monastery”). Russia has two. The Holy Trinity-St. Sergius Lavra, 70 kilometres from Moscow, was founded in the 14th century by the St. Sergius of Radonezh, one of Russia’s most revered saints. The monastery and the city built around it, Sergiev Posad, are a Russian Vatican of sorts. A major spiritual magnet and a unique historical site, the Laura is world-famous for the rare beauty of its murals and the enchanted singing of its choir. Alexander Nevsky Lavra was founded by Peter the Great in 1710 in St. Petersburg – seven years after the city itself. Construction works lasted for almost a century. The monastery complex is home to some of St. Petersburg’s oldest buildings. From the outset, the Lavra was known as the most prestigious burial site in Imperial Russia where members of the royal family, priests, prominent poets and composers were laid to rest. One of Russia’s most famous churches is the Cathedral of Christ the Saviour in Moscow. It’s also the country’s largest. Clad in marble, its white bulk crowned with a gleaming golden dome, it is visible all over central Moscow. The original cathedral was constructed in the 19th century to commemorate Russia’s victory over Napoleon. It took more than 40 years to build… and only a day to reduce to rubble on Stalin’s orders in 1933. Rebuilt in the 1990s, it’s become a symbol of Russia’s spiritual revival and the newly found power of the Russian Orthodox Church. 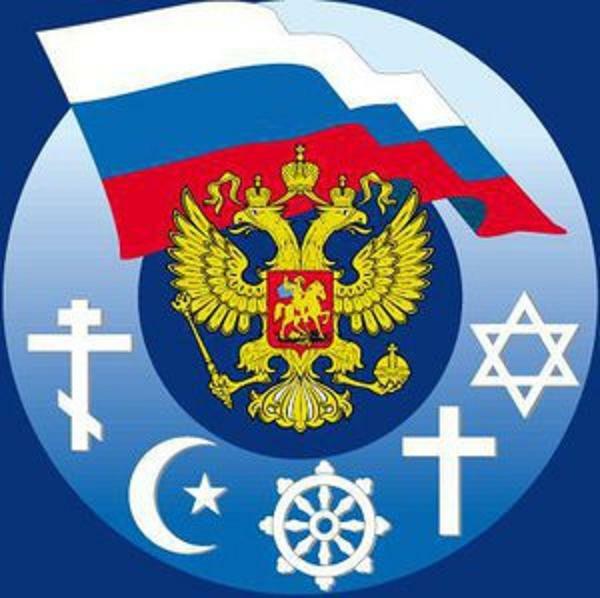 Russia’s second most popular religion is Islam. It’s thought the country is home to around 14 to 20 million Muslims, making up 10 to 16 per cent of Russia’s population. Almost all Russian Muslims are Sunnis but there are small pockets of Shiites in the Caucasus. Russia’s Muslims mainly live in the Volga Region and the North Caucasus, although Moscow and St. Petersburg also have thriving local communities. The largest Islamic centres are Tatarstan and Bashkortostan. The republic of Tatarstan on the Volga River has as many as 1150 mosques. Its capital Kazan, an ancient Tatar stronghold, boasts the largest mosque in Russia and, reputedly, in Europe – the Qolsharif Mosque. Built in the 16th century, it was destroyed in 1552 during Ivan the Terrible’s Tatar campaigns, when his armies captured Kazan. Now looking decisively modern, it’s the gem of the city’s architectural landscape. Buddhism made its way to Russia in the late 16th century, when Russian explorers travelled to and settled in Siberia and the Far East. Russia’s key Buddhist centre is Kalmykia. Vast steppe land on the north-western shores of the Caspian Sea, the republic of Kalmykia is the only place in Europe where Buddhism is the major religion. Descendants of the nomadic Mongols, the Kalmyk people revere the Dalai Lama, who visited the republic in 2004. Buddhist teaching is also widespread in Tuva and Buryatia. Located at the midpoint of Asia, the republic of Tuva is famous for its bewitching throat singers. The Buryat Republic, along the eastern shore of Lake Baikal has a strong tradition of Tibetan Buddhist medical practices. In the 1930s the temples were closed down or burnt and many monks fled or were arrested. But with the beginning of Gorbachev’s era, the Buddhist revival gathered pace and dozens of monasteries were rebuilt. Buddhist centres also opened in many large cities, including Moscow and St. Petersburg.